Guest in the OSJ Radio Studio: Sheryl Presley, TRIAD Coordinator, OKCPD became Oklahoma City’s TRIAD Coordinator (through the OKCPD) on October of 1998. This position requires working with the Senior population in Oklahoma City; she also works closely with the Oklahoma County Sheriffs Department in educating senior citizens of Oklahoma as to their rights, opportunities available to them with clarifying laws & up dates along with frauds & scams that may affect their lives. She began her career with the Oklahoma City Police Department on February 1992, as a Detention Officer in the City jail. She served in this capacity for approximately 4 years when she transferred to the Crime Information Unit, (CIU) in January 1996. Sheryl holds an Associate of Science degree in Criminal Justice from Oklahoma State University. She has held several Fraud Forums for Oklahoma City Police Department and Piedmont Police Department. She has enjoyed a long association with the Oklahoma City Police Department. Her father, George Doughty, served with the Oklahoma City Police Department for 34 years. She enjoys a close relationship with her son, Skyler, who is her light and keeps her very busy. ALSO IN STUDIO THIS WEEK is Toya Holden, agent for AAG and VillagesOKC board member (It is a PLAN … NOT a Place) in the radio studio with The Rise & Thrive OSJ Radio Hour. Robin Gunn is a committee member for VillagesOKC as well. We are talking about the inaugural VillagesOKC Golf Tournament Fundraiser, April 16th at The Greens Golf & Country Club! HOLE-In-One-CAR from Diffee Ford-Lincoln… WHAT-YES! All 55-Plus age group Welcome!! 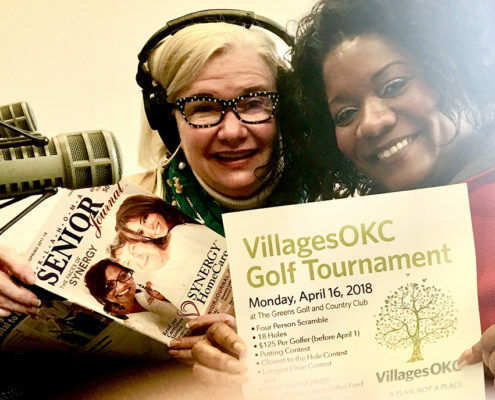 Come out on this lovely day of Golf – For Complimentary Lunch – Meet with the VillagesOKC Advisory Board and Learn More on VillagesOKC (It is NOT a Place… It is A Plan) to age well at home! We are also Calling ALL Golfers to help us raise funds for the newest national movement for Seniors known as VillagesOKC! Click here for details on the Golf Tournament Fundraiser and how your business and you can get involved! 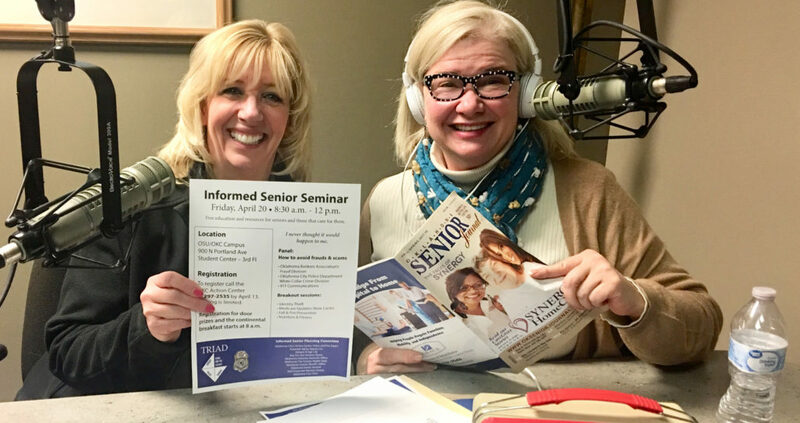 3-31: Talking about Stand Up for Seniors-Senior Day at the Capitol April 9t... Salvation Army Senior LIving Fair!